The book as the name and the cover suggests is a perfect children’s read with a lot of colors, surprises, beautiful friendship and everlasting love. Marcle and the Pondan Land is a very refreshing, easy and light read which can be completed in a single sitting. The story revolves around a boy named Marcle and his sibling Dani. There school life, there friends and how entangled a small detail in our daily lives can be. Important thing in this story is the mannerism and small lessons that are hidden in the book. So if you are looking for a book for your kid in order to teach them something; this book can do wonders. Without spoiling much I can give a few hints about the good things which are around every corner of the book. Like the way school life of these kids are projected, the way they behave around their household and how they treat friends. Everything is shown very nicely and can be a good learning extravaganza for your little ones. Somethings were really off track too, like usage of few phrases again and again, minor editing mistakes, these were the outer and small problems. 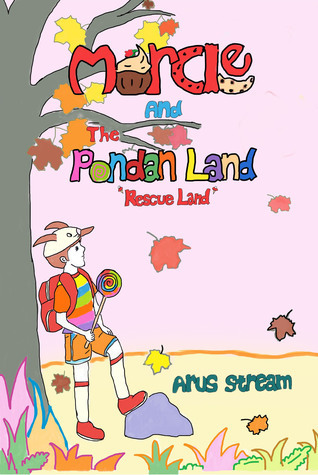 But the bigger problem was that the main aspect of the story “Pondan Land” wasn’t shown in its full form. It could have really elevated the story beyond any extremities. The unique characters could have been used more, there stories could have been incorporated but still whatever was used it was in a nice way to entertain readers of targeted age group. Things I adored the most was the ending and the starting. There was way too much to know and grasp. The middle was just like a bridge between the two ends. Also I loved the illustrations, the color scheme, the spacing between the lines. These things are important if your target audience are children. This made the book a super comfy read. Summing up- Marcle and the Pondan Land was a fun read, perfect for kids, away from hidden meanings. If you are an adult it can be good after a heavy and dark read which might have threw you in a reading slump. The adventure story of Marcle Brave Marshall is set in the land of the birthday cake ornaments, a place called Pondan Land. The story begins when a cake decoration is kidnapped by the queen of darkness, Dark Berry and her henchmen, Cone Black and Giant Belly Rush, who want to destroy and take over Pondan Land. The ornament stolen was the one that Marcle's younger brother, Danish, had chosen for his birthday, so Marcle sets out to find and free the ornament from the clutches of the evil Dark Berry. Will he succeed to find and destroy Dark Berry and save Pondan Land?